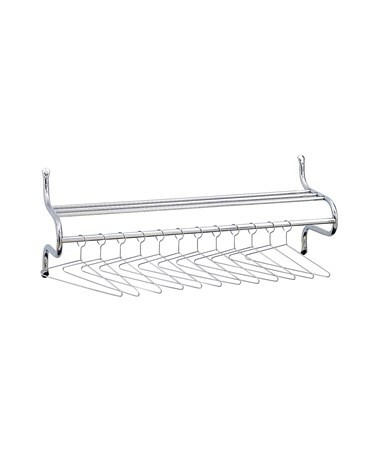 The Safco 48"W Shelf Rack with Hangers is a sturdy wall-mounting rack with a contemporary design that gives it a stylish look. It has a 48-inches wide storage space and includes 12 non-removable hangers that can fit and hold most garments. It is easy to mount on any wall with mounting hardware that is included. 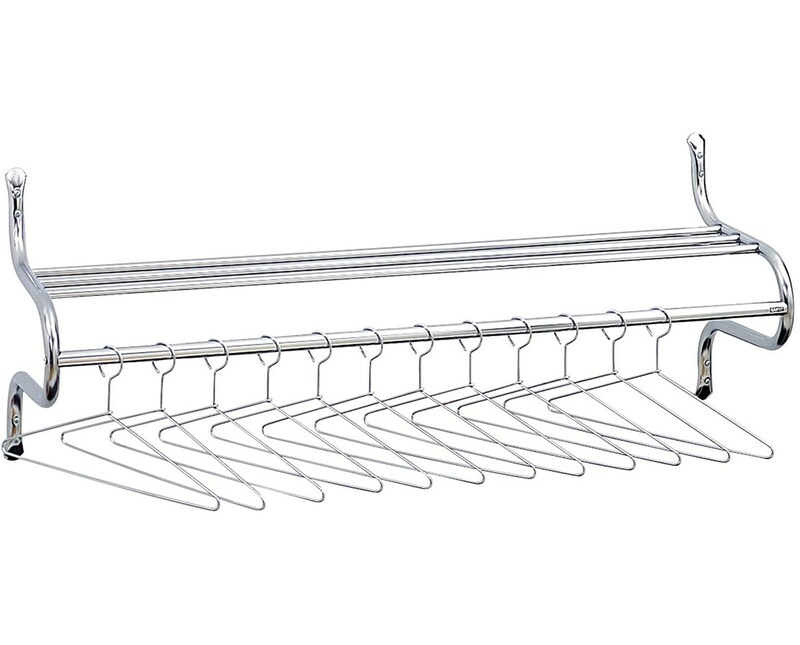 This rack is made of 1.5-inches diameter steel rod with a chrome finish. It is also GREENGUARD certified for low chemical emissions.